Does Sheryl Sandberg's New Book Miss the Mark on Grief? I was appalled when I encountered the heavily publicized resilience book by Facebook COO Sheryl Sandberg, Option B: Facing Adversity, Building Resilience, and Finding Joy. Sandberg coauthored the book with her friend Adam Grant, an organizational psychologist and management professor at the Wharton School at the University of Pennsylvania, after he helped her work through her intense grief following the sudden death of her husband. Their book’s consistent message seems to be that grievers need to stop feeling dangerous “negative” emotions and bounce back to “normal” as quickly as possible, so that they don’t become “trapped” or “broken” by their pain. My experience as a widow and a grief counselor has taught me exactly the opposite. I’ve learned that though agonizing, grief itself is adaptive. Loss is an emotional injury, and grief is the necessary, healthy, healing response to this wound. There are multiple aspects of loss that can overwhelm us, such as the overpowering distress generated by the sudden, permanent absence of a loved one, or the deep fears of being undone by unbearable emotions and sometimes extreme physical symptoms that can’t be controlled. 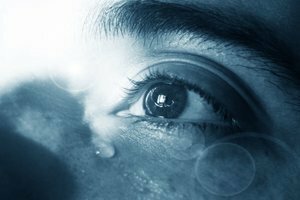 Staggering grief reactions are not only appropriate, but intelligent and protective, and what’s most useful during times of intense grief is support that helps grievers bear what’s happening. When I was 30 years old, a rare virus savaged my healthy husband’s heart and killed him in six weeks. The day he died our son turned 11 months old. Shattered, I found myself in a grief-filled life buffeted by cultural expectations that as a young mother, I get over my loss fast. Thankfully, I had family who encouraged me to discover my own pace, and a fearless therapist who offered me her presence for the long haul. Living out my hard-earned understanding that grief is intertwined with emotional growth, I became a psychotherapist myself and over the last 20 years have committed to countering our culture’s fear-based aversion to the messiness of grief and trauma. It’s important to note that Option B’s coauthor isn’t trained to help people with traumatic emotional states. Neither is he informed about modern emotion science. Instead, as a business school professor, he researches performance-based resilience. The studies he references in the book are about how our responses to failure determine whether we persist or give up. What’s troubling is that he takes the inexplicable leap of equating painful emotional states resulting from devastating loss or trauma with failure, and transfers his techniques for conquering performance-based mishaps to defeating grief’s anguish. After scaring Sandberg with threats about her kids, he presents quick-fix cognitive strategies—intended for helping anxious people face fear-inducing events, or for building tenacity when learning new skills. Desperately wanting to parent well, she cooperates with these emotionally harsh strategies that reflexively shut down her pain and prematurely convert it into forced gratitude and happiness. This strident, almost coercive, approach leaves me feeling vehemently protective of all grieving people, including Sandberg herself. I’ve already seen clients having normal grief reactions who feel ashamed, isolated, and afraid of their own emotions when they compare themselves to Sandberg. Consider an example of one of Grant’s strategies intended to shock Sandberg out of pain and into gratitude. “During the early days of my despair, my instinct was to try to find positive thoughts. Adam told me the opposite: that it was a good idea to think about how much worse things could be. ‘Worse?’ I asked him. ‘Are you kidding? How could this be worse?’ His answer cut through me: ‘Dave could have had that same cardiac arrhythmia driving your children.’ Wow. The thought that I could have lost all three of them had never occurred to me.” This emotional smack in the teeth did cause gratitude to momentarily “overtake some of the grief.” But at what cost? When I work with loss, I combine personal and clinical experience with ideas from emotion science, developmental science, and attachment theory. Let me contrast Grant and Sandberg’s exchange with a conversation from a group therapy session I recently led. A group member’s voice trembled as she told us that today was the 30th birthday of her only child, who’d died of leukemia at age 15. Her tears revealed the penetrating sadness of this milestone anniversary. She passed around a photo of her lively, mischievous boy and shared memories of his antics. As we listened to her stories we teared up ourselves and shared her laughter, and we helped her plan a ritual to mark the occasion. We were offering her our soothing presence to help her to bear the pain we could not cure and we told her how honored we were that she allowed us to witness her sorrow and help her bear it. Emotion and developmental science clearly show that we metabolize the overwhelming emotions of grief in relationship with people who feel with us and who deeply understand what we’re feeling. In fact, when emotions are particularly intense and we’re met with dismissive or misaligned responses from others, it’s common to feel not only the original pain, but also profound feelings of shame, withdrawal, and isolation. What we need is for an understanding helper to guide us into expressing our intense emotions in our own time and in a way that’s not overwhelming. Strategies that make emotions manageable are unique to each person---based in childhood history, inborn temperament, current loss and life circumstances, and current social support, so methods for soothing grief need to be personalized. For now, for just one second, let yourself imagine that your closest loved one is killed in a car accident this afternoon. Try to envision the weeks and months and years that would follow such a tragedy and the extreme feelings you might experience. Would a conversation with the authors of Option B or a group therapy session based in emotion science feel more healing to you? Remember your answer when a grieving client next comes your way. Candyce Ossefort-Russell, LPC-S, is a psychotherapist, grief advocate, writer, therapist trainer, and speaker. She’s a contributor to the forthcoming book Clinical Applications of The Polyvagal Theory, edited by Stephen Porges and Deborah Dana. For more information, visit candycecounseling.com. Excellent, excellent, excellent and right on target. Thanks so much! Candyce, Thanks for offering the critique on this book. It points out how important social engagement is when we have been affected by overwhelming loss. I enjoyed the read. Candyce, I hope your message gets out there in a big way. It must be so harmful to many grievers to be told they're doing it wrong and to get over it quickly. Another damaged graduate from to Wharton School: Adam Grant. Organizational psychology is not clinical psychology. Know your limits.